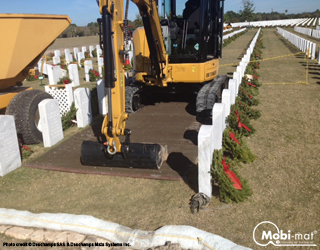 Temporary Roadways - Mobi-Mat by DMS Inc. 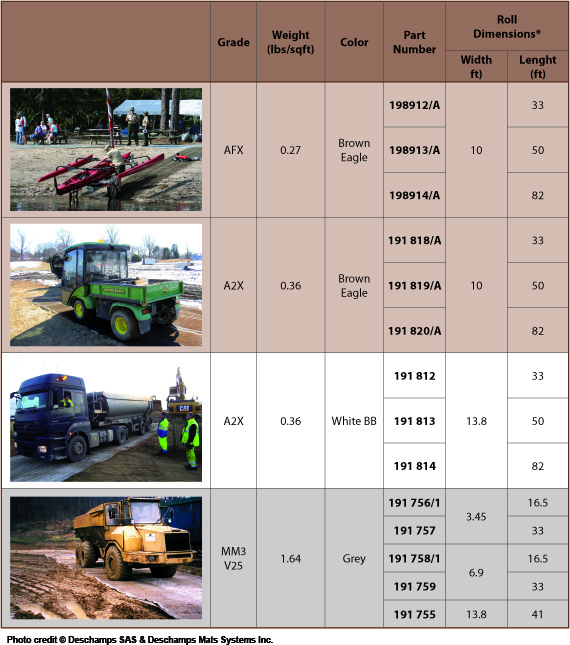 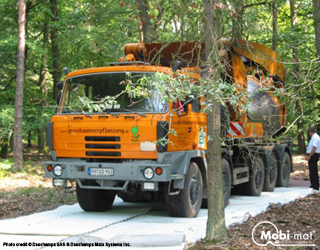 The Mobi-Mat® Vehicle Mobility Mats –VMM- Temporary roadways are designed for creating expedient temporary access roads, working platforms and accommodating light and medium vehicles traffic on supporting but unstable grounds like sand, gravels, lawns and greens and even on light slope. 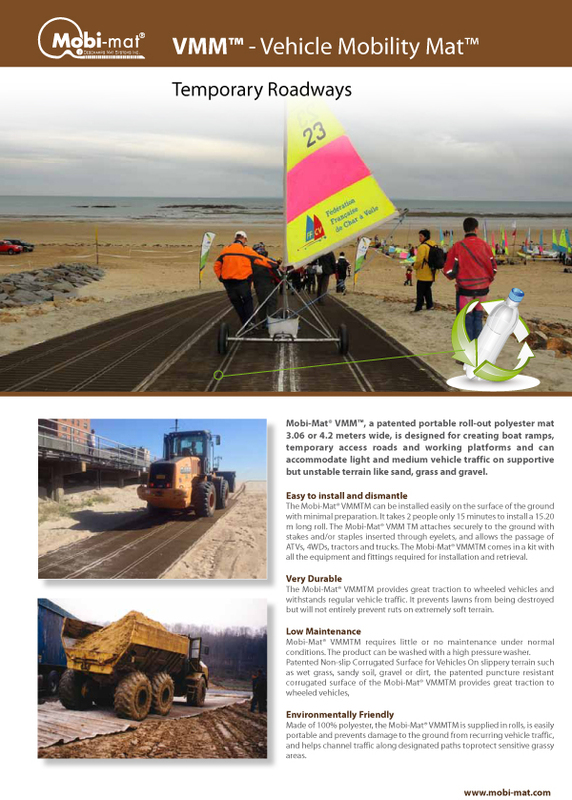 On slippery terrain such as wet grass, sandy grounds, gravel or dirty ground, the patented puncture resistant, corrugated surface of the VMM™ provides great traction to wheeled vehicles. 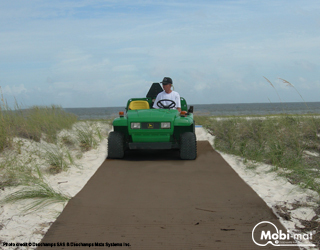 Made of 100% recycled polyester, Mobi-Mat® VMM™ prevent vehicles from getting stuck, protect the ground damage due to recurring vehicle traffic and help channelizing traffic along designated areas to protect sensitive greens. 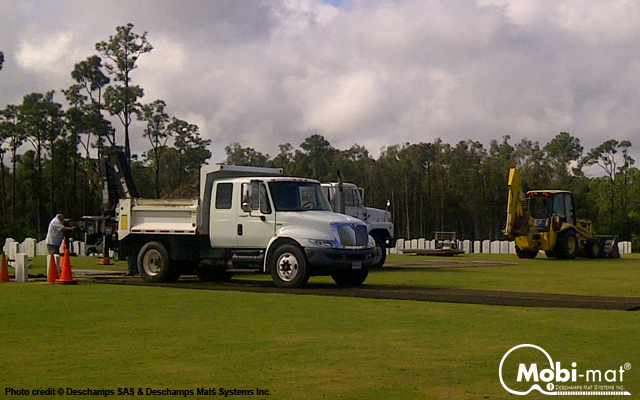 VMM™ will prevent the lawn from being destroyed but will not completely prevent rutting on extremely wet and soft terrains. 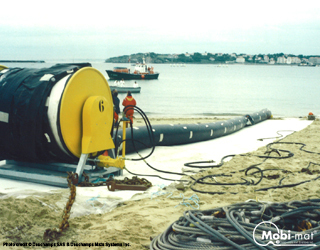 Mobi-mat ® VMM is delivered in rolls that can easily be laid on the ground surface with minimal ground preparation in minutes. 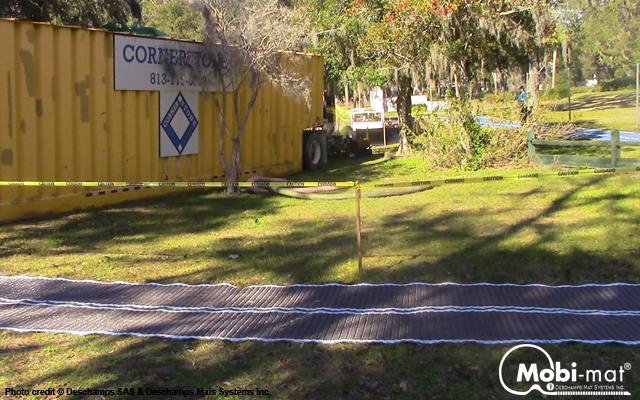 Only 2 people and 10 minutes time are required to install a 15.20m (50’) long roll. 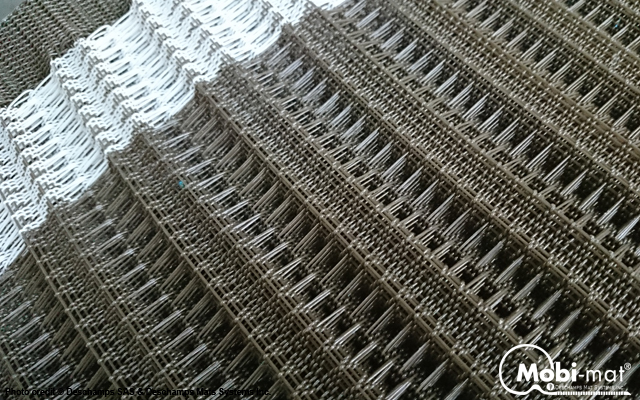 The VMM™ is attached to the ground with bichromated stakes and U-shaped staples inserted through eyelets. 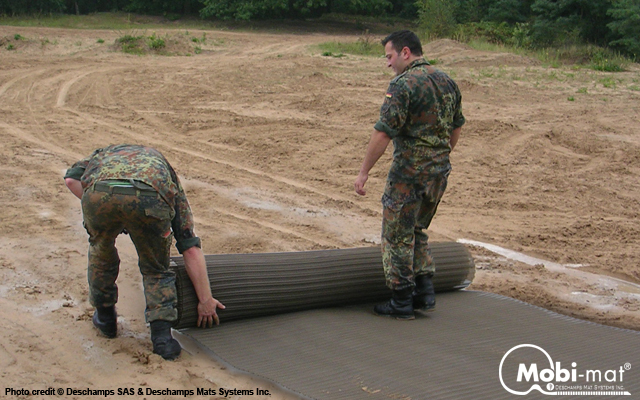 Each mat is equipped with a specific fitting on both ends, allowing easy and simple connection with another roll of Mobi-Mat®. 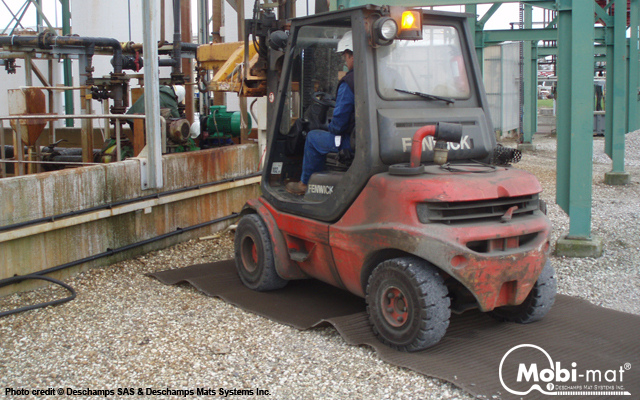 VMM™ requires little or no maintenance under normal conditions. 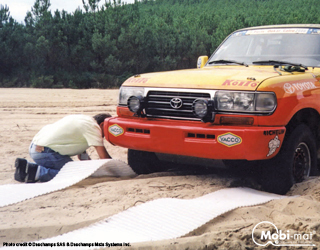 The mats can be washed with a high pressure washer.